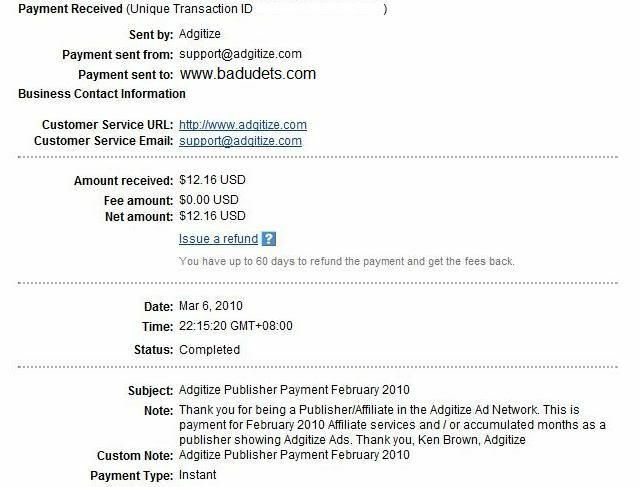 make money online | Badudets Everything Nice! I was checking my inbox and I was surprised to receive an email from Dneero. Dneero is one of the paid surveys I signed up before, I learned a few dollars from them but my last activity from them was last year ago. I logged in to Dneero’s homepage and found out I still have $ 13.62 earnings from them. It got stuck at $ 13.62 because no new conversations were available until now. I hope more surveys and more opportunities will be available so that I can achieve the $ 20 mark and cash out my earnings. Knowing some feedbacks about a particular product is a good thing in Ciao, but earning through your own product reviews and reading other people’s feedbacks is another thing. Last year, I wrote about the easy way to earn money on Ciao, and it has gotten a lot of positive feedbacks especially from people whose main objective is to earn money online. Later on, Ciao changed its incentive scheme which made me lose my interest on them for quite some time. Aside from that, plagiarism is very rampant with other users. They will copy product reviews from other review sites and post it as their own for others to rate. What’s amazing is that they earned a lot from it, after reporting some of them, I got tired and completely forgot about Ciao for more than 3 months. Out of curiosity, I checked my Ciao account to see what’s going on and I was completely surprised to see that I earned without me doing anything. I withdrew my earnings from them before I left Ciao. Now, I earned $17.13 after my inactivity for three months. They still pay for reviews and ratings made after all. Just make sure that your review is helpful, detailed and honest and you’ll surely get high ratings and high earnings as well. Register on Ciao now and start making your own product reviews. CLICK HERE.